Aerial Skyvertising is committed to producing high quality aerial billboards and banners to fly over events and well-populated outdoor areas to highlight your business. Their professional team is driven by customer satisfaction to serve you in the sky and on the ground, making sure your advertising campaign works for your business. Their fleet of planes always at the ready to advertise your company or send your message to large crowds with cost effective aerial marketing. 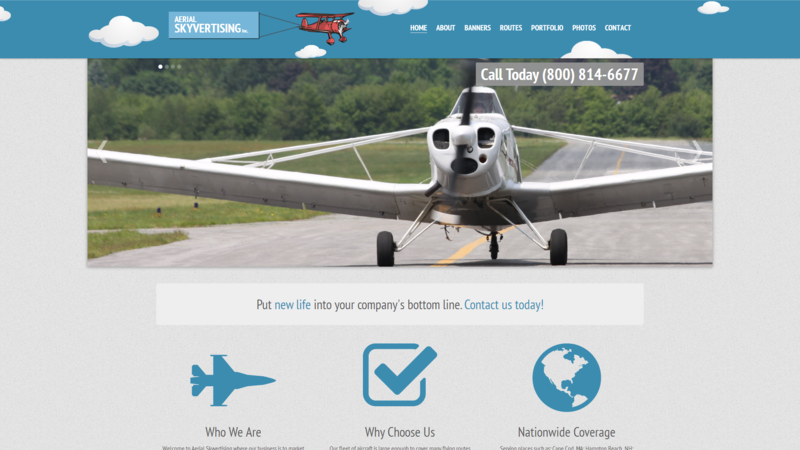 Aerial advertising is a marketing method designed to enhance your existing advertising medium. Their Aerial Billboards are painted/computer generated and our banners guarantee your business enormous exposure on a low budget.